Jacksonville Real Estate Trends in July continue to show positive trends! The Northeast Florida Association of Realtors market stats for July continue to show positive trends. Year to date new listings are up, pending sales are up, closed sales are on track with last year, days on market are down, and prices continue to rise. We have been talking about the small amount of homes available for sale for months, so it is nice to see new listings up 18% over last July and 9% year to date. There were 9,088 homes for sale in July which is down less than 1% from last July. 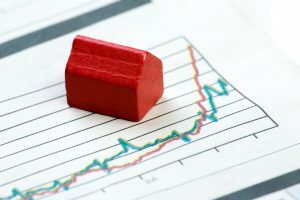 In some of the higher priced markets across the country such as California, Oregon, Washington and New York, buyers have been competing for every home and prices were rising about twice as fast as incomes. There are some predictions that the seller’s market in those areas may have peaked. The northeast Florida real estate market still looks strong along with the state of Florida. The Kiplinger Letter forecasts economic growth in all 50 states and Florida ranked number 8 of the fastest projected rates of job growth this year. Another positive for Florida mentioned in “American Migration: Exploring Where People Move Across America” states “In total number of relocators over the past five years, the most (33,391) moved from New York to Florida.” There were also record numbers of relocations from New Jersey, Pennsylvania, Michigan and Illinois. Pending sales are up 4% year to date over last year and closings are almost the same as last year. The median sales price of $230,000 is up 7% over last July and 11% year to date. The average sales price of $275,364 is up 8% over last July and 10% year to date. The days on market until sale dropped from 67 days last July to 61 days for a 9% decrease. If we can help you in any way with your real estate needs, please let me know. I always love to discuss real estate.